Some restaurants take off the moment they open, gaining quick renown throughout the state. 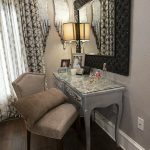 Others take time to grow a clientele. 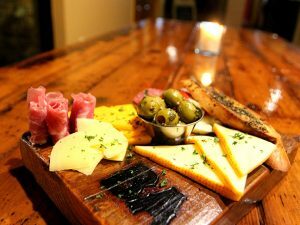 Over the past couple of years, several new restaurants worthy of attention have opened across Arkansas. Here’s a smattering of 16 of the best. Chef Eli Tapia’s kitchen opened for business in December of last year, with extraordinary results straight out of the gate. 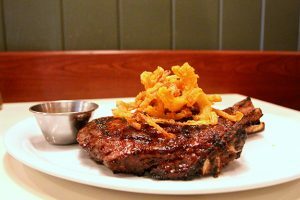 The former Ruby Tuesday location is now one of the best places in the state for aged steaks, fresh seafood and innovative dishes. Of note: Eli’s Cornbread Tower, a sausage-loaded cube covered with creamy crawfish and shrimp sauce, the chef’s own creation. The well-aged steaks are roasted at 1,600 degrees and served with a splendid Bordelais reduction. 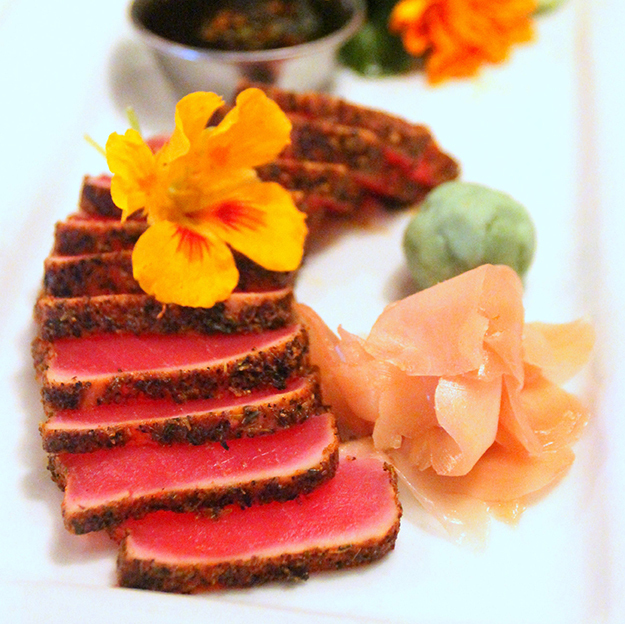 The seared and sliced ahi tuna, with its light salad, makes a great shareable appetizer. Some of Arkansas’ most iconic restaurants are located far from its metropolitan areas. Dannie’s Café, set several miles outside of Hope, will likely join those ranks over time. 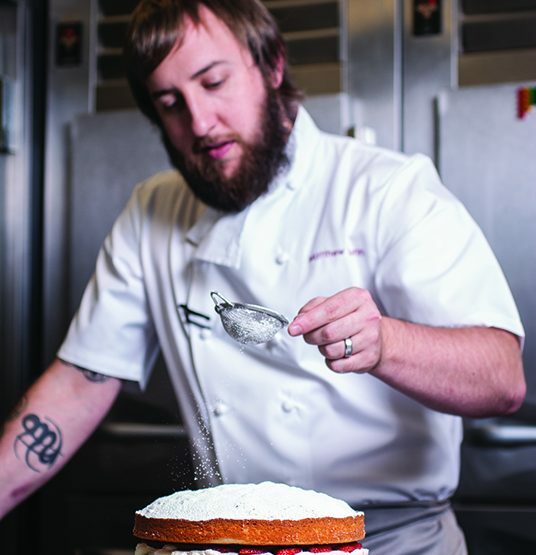 Executive Chef Bob Long spends a couple of days each week traveling to Shreveport, Little Rock and even Dallas to obtain top-quality meats, seafood and produce for the dishes crafted each weekend. He, along with owner Flora Lombardo and Chef Monique West, craft an ever-changing menu featuring fine steaks, marvelous fusion dishes such as African-Thai fusion Bofungo and Harissa lamb tacos and impressive racks of roasted lamb. The restaurant, named for Flora’s brother Dannie, has evolved from its initial opening in 2015 to its sellout-every-seat-each-night excellence today. 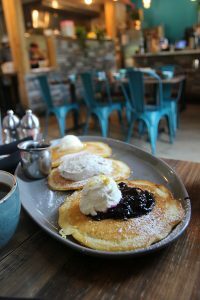 Hiding in the back of a combination commercial-residential development south of Dickson Street, this tiny but gorgeous shop offers gorgeously plated breakfast favorites in a relaxed, conversation-ready atmosphere. Fresh produce in combinations such as spinach, avocado, mushroom and asparagus divided amongst offerings of Benedict muffins, omelets, scrambles and egg plates alongside marvelous well-constructed pancakes allow for a great breakfast or brunch for any diner. Expect a wait on weekends. 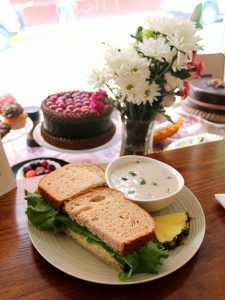 Karin Emde’s tight, diminutive shop by the right-hand turn along Eureka Springs’ famed Spring Street is full of light, pies and sweet personalities. 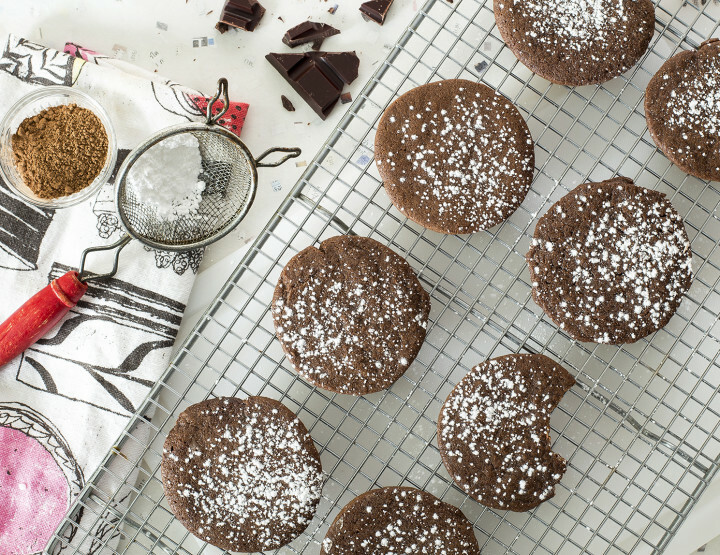 Emde, a pastry chef whose experiences range from Canadian restaurants to military camps in Afghanistan, returned home in 2017 and opened this bright spot offering light breakfasts and lunches along with desserts perfect for a quick snack. 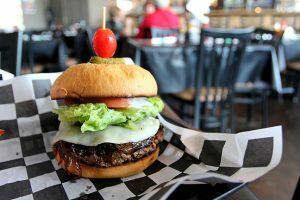 The best new restaurant for burgers in Pulaski County offers no fewer than 11 different variations of the beef-meets-bun standard, including one with blueberry marmalade with bacon, another with cranberry marmalade and blue cheese and a third (The Trifecta) with Angus beef, chicken breast and bacon under provolone and garlic aioli. Unusual sides such as fried Brussels sprouts up the adventure. One of the many new developments in the renaissance evolving in downtown Hardy, Leaves & Beans offers the coffee beverages an invigorated community needs alongside light, bright eats that include paninis, salads and house-made desserts, served in a lovely garden cottage. 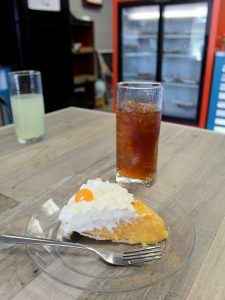 The much-anticipated pairing of Donnie Ferneau’s Southern entrées with Kelli Marks’ phenomenal baked goods and desserts officially opened last month and has already begun to buzz. 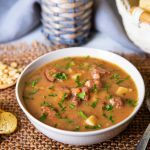 Biscuits and doughnuts in both traditional and unconventional flavors and pairings star alongside smoked meats and delectable gravies. Soon to be the hub of the East Village. Andrea and Justin Wilson invigorated a hungry food truck audience with their first adventure, Hot Rod Wieners. 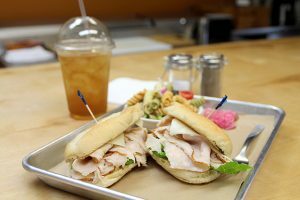 Their second endeavor is a sandwich shop in a Cabot shopping center where fresh, hot loaves come packed with Petit Jean Meats smoked turkey and ham, fresh local produce and cheese and, on request, marvelous pickled onions. Kim and Richard Quiblier met providing high-end eats to PGA golf events. 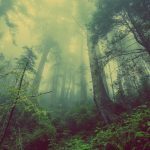 When it came time to settle, they searched Google for a resort for sale and found one in Norfolk, Arkansas. 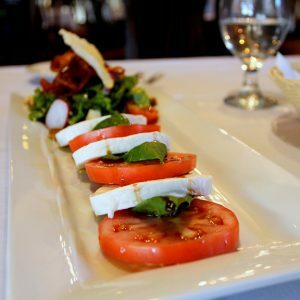 In the couple of years since, they’ve created an excellent dining experience at Whispering Woods. 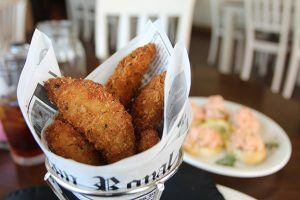 The restaurant offers excellent amberjack, salmon and walleye; its Parmesan-encrusted cod stix are the best fish sticks you’ll ever try. Pies and crème brulees vary by the day. Open since December, this Tex-Mex eatery is at the heart of Palestine’s downtown revitalization. 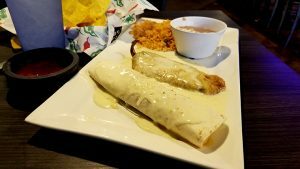 In addition to standards such as burritos and tacos, nightly specials can include anything from steaks to gourmet hot dogs, pizza and pasta. 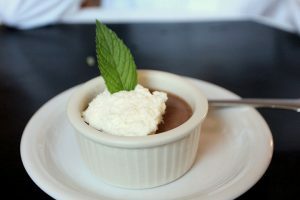 Check with your waitress for different options, including house-made desserts. 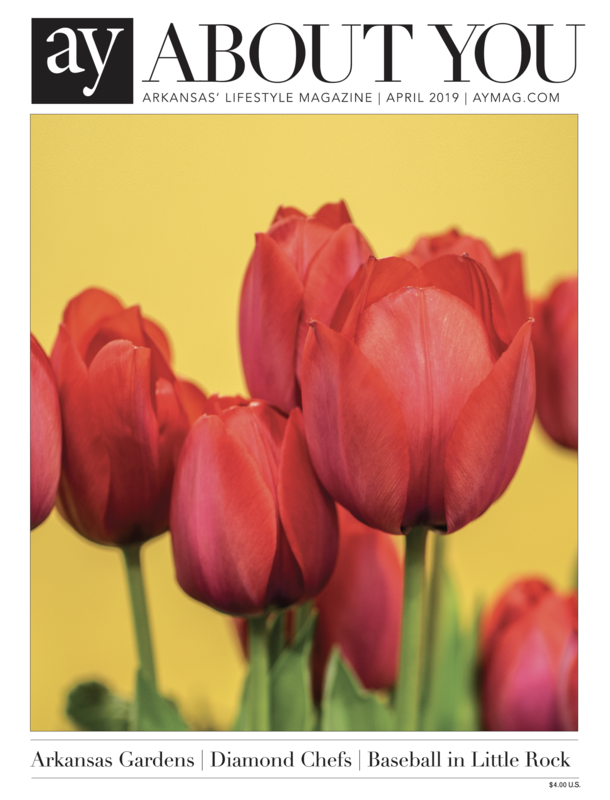 Housed in the 1937 Maness School on the former Fort Chaffee grounds, chef Memo Vaca’s creativity meets Arkansas-grown products for some delectable, artistic edibles like the Ozark Dip Brandade with its smoked trout base. Steaks are large, the duck is served rare and the produce is locally sourced for a marvelous high-end experience. An old gas station may seem an odd spot for European delights, but this operation, first born as a food truck enterprise, fits the light-filled space well. 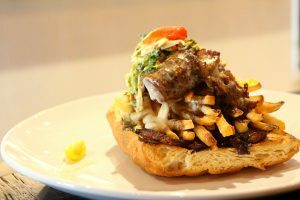 Ever-changing selections of soup, salads and sandwiches accompany a regular menu that offers pork poutine, bratwurst and a beautiful and perfect vegetarian dish called Peter Rabbit – a dish of fresh roasted vegetables topped with a fried egg and a perfect aioli. 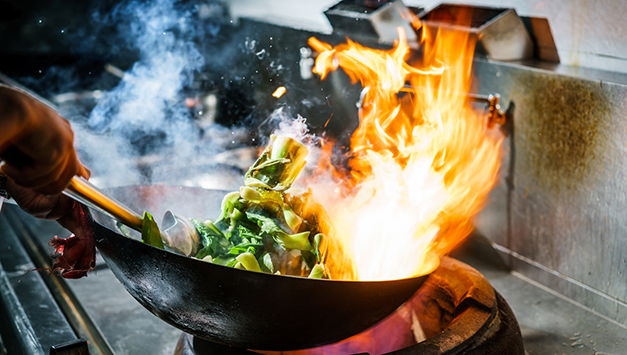 Though this fire-based cookery only opened in May, it’s already become West Little Rock’s hot ticket, packed out from open to close. Wood-fired pizzas and smoked meats shine on a menu full of everything from meatballs to marrow. An omnivore’s hot-roasted delight. 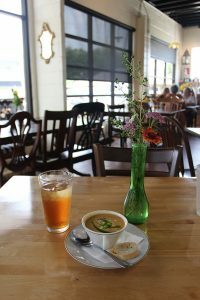 This lovely fine dining restaurant above Greers Ferry Lake is German chef Nick Rohutina’s place, and since it opened two years ago Nick has found a place to play, with a lovely and ever-changing menu. He’s not afraid to serve Schnitzel Bolognese alongside liver and onions, and the prices are remarkably low. This Argentinian café is thriving quietly in a space where previous tenants Juanita’s Cantina and Bill St. were unable to prosper. 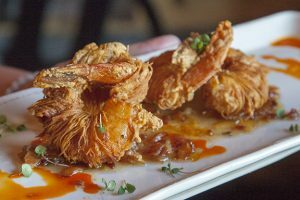 The extraordinary array of empanadas, entrées and appetizers coupled with excellent bar service and a comfortable neighborhood attitude has certainly won a lot of fans. Don’t let the below-the-street location deter you from a visit. 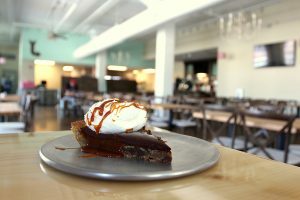 This shop, which opened in January off Wedington Drive on Fayetteville’s west side, offers what may be Arkansas’ largest selection of daily pies, with more than 30 different flavors at any particular time. 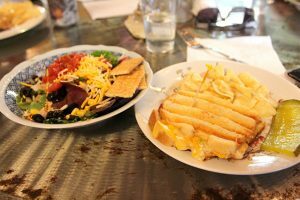 The restaurant, named for owner Margaret Burris’ three children, also offers sandwiches and other specials, including an excellent chicken salad. Create: Too Much Chocolate? Impossible!